MullenLowe & Profero have made a new top move on the Romanian advertising market by bringing in as CCO Damian Nuñez, a creative mind with +14 years of international experience and +60 industry accolades. In his new role, Damian is coordinating the creative teams of the two agencies. “Our ambitions start and end with our people and our clients and we wanted a CCO to match this approach to business: solution-oriented, in love with the product and team-focused. Damian not only has an impressive international experience and passion for creative, but he is a very mature, strategic and extremely fun guy to work with. I am absolutely convinced that he is perfect to lead the creative heart of our united #octopusteams,” says Hortensia Nastase, Vice President Creative Services, MullenLowe Romania. Damian has previously worked for agencies across three totally different markets, from small creative boutiques to +500 people agencies. He started his career in some of the most prestigious agencies in Argentina, where he also taught Advertising Creativity and Art Direction at Escuela Superior de Creativos Publicitarios in Buenos Aires and Siglo XXI University of Córdoba, Argentina. He went on to work for several years in Miami, Los Angeles and Dallas and, in 2016, he moved to Europe to experience the creative environment in Milan, before taking on the challenge to come to Romania. 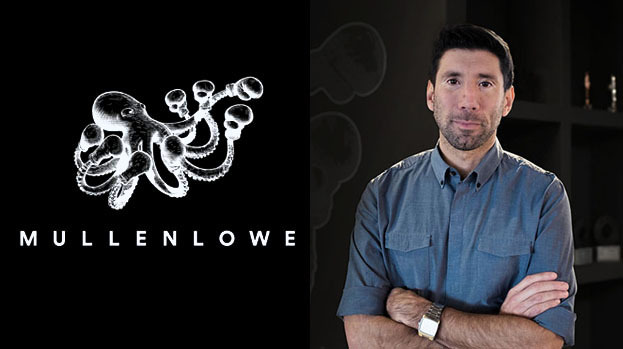 “I was aware of MullenLowe as a well-known and respected international brand, but I confess I was impressed by Bucharest, how familiar everything feels and how warm people are. The vibe here is very similar to the agencies in Buenos Aires and, when meeting the top management of the group, I was happy to find that we share the same vision, energy and passion. The talent is here, the briefs are here. I’ve been lucky enough to work with some of the best creative directors in the industry, paying close attention to their way of doing things. My goal is to take the sum of my experiences and help the team in Romania unleash its true potential in creative excellence,” says Damian Nuñez, CCO, MullenLowe & Profero. Damian has collaborated with internationally renowned clients across multiple industries such as automotive, telecom, banking, retail and FMCG. His work has been recognized at prestigious regional and global festivals, and his most important awards span CCA (Argentinian Creative Circle), CLIO Awards, Effie Awards, El Sol (Ibero-American International Advertising Festival) Spain, El Ojo de Iberoamérica, FIAP (South American International Advertising Festival), Gramado (Festival Mundial de Publicidade de Gramado), Brazil, LIA (London International Awards) or New York Festival. He sat as a jury at festivals such as ADDYS Awards, FIAP, FICE Creativity and Strategy Ibero-American Festival, or the WINA Awards in Buenos Aires. He is a graduate in Art Direction at Escuela Superior de Creativos Publicitarios, Buenos Aires and in Graphic Design at Universidad de Morón, Buenos Aires.